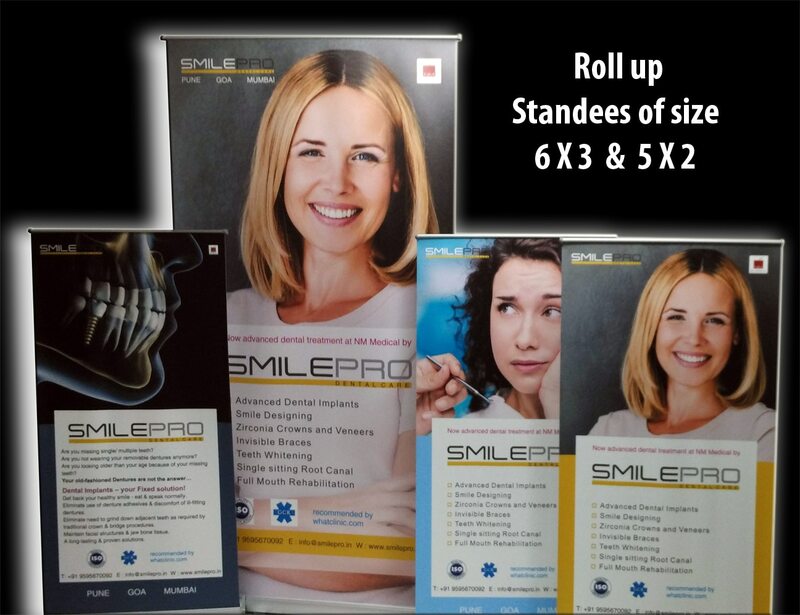 Roll-up standees are a product that every exhibitor and advertiser requires. Exhibitions happen in centralized locations, with the various exhibitors coming in from different and sometimes distant, locations. So, these people need a compact portable solution to display their product images and information. 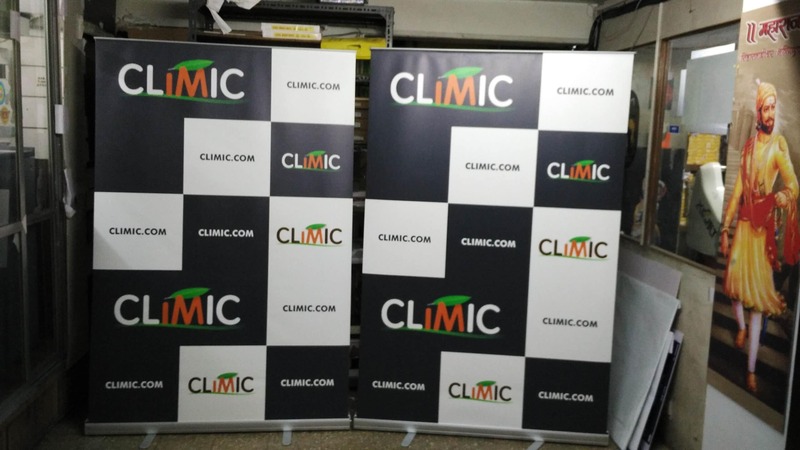 Hence printed standees fulfill their requirements perfectly. 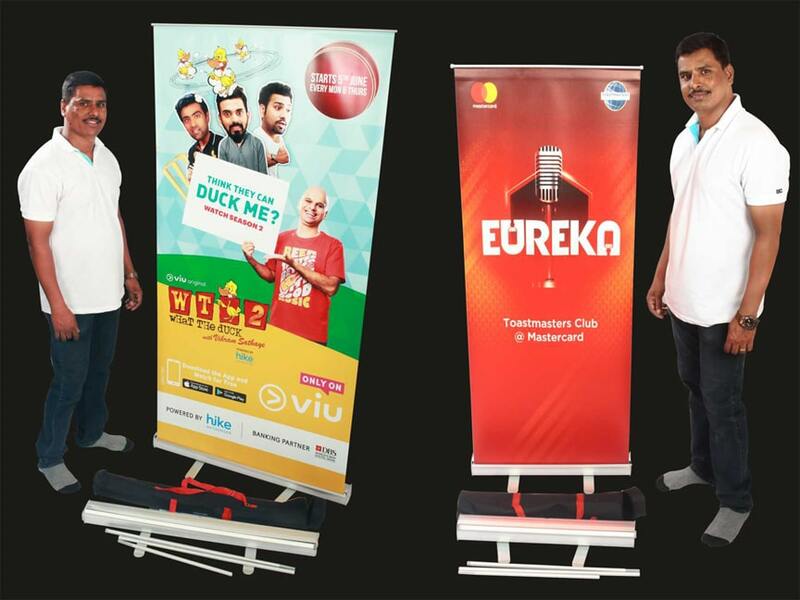 Standee printing generally happens in size 6 feet height by 3 feet width. 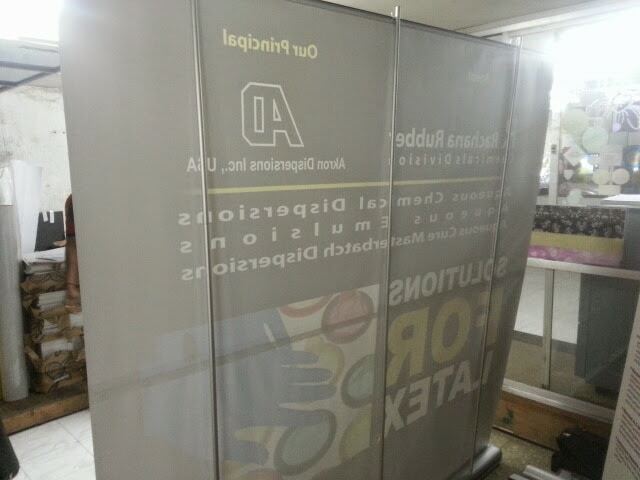 Moreover, these standees can be collapsed to a very compact size. 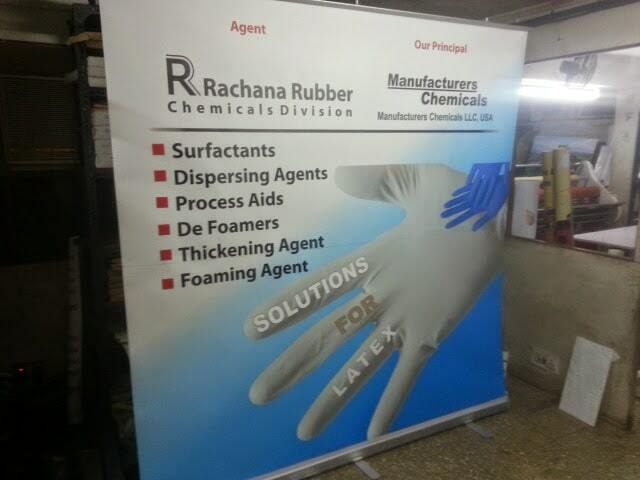 We also provide roll-up standees of size 6 X 4, 6 X 6 and 8 X 8. 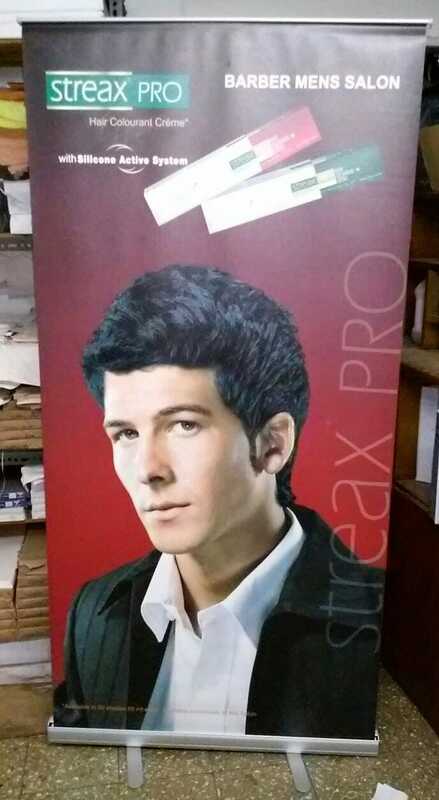 In all cases, standee printing is done high quality photo poster or on flex material. This print is flexible and can be rolled up to create a very compact package. The print is mounted on a spring loaded stand. There is a spring powered cylinder inside the standee which pulls at the print to keep it taut and flat. 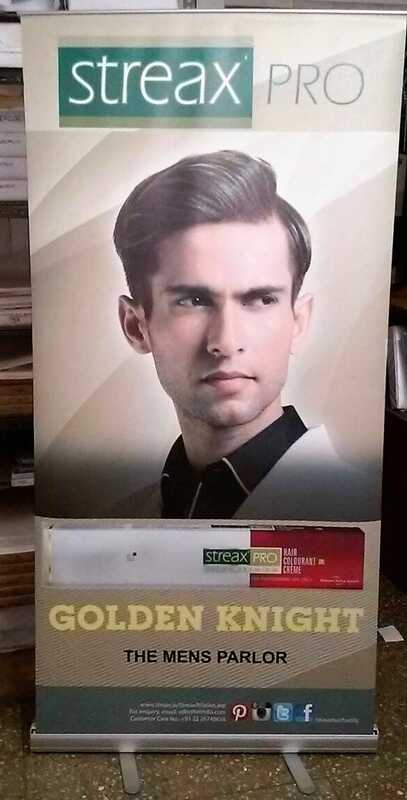 When the stand is unlocked the print rolls unto itself very much like a window blind. 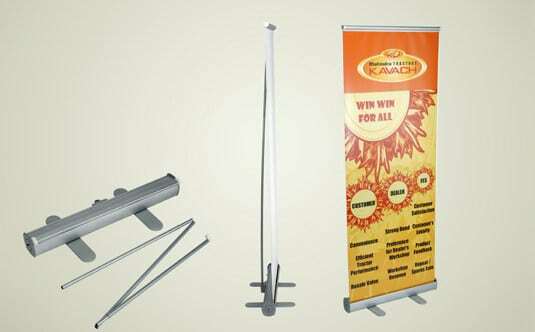 To display the print you simply pull it out and hitch it onto the jointed bar provided along with the standee. It takes less than a minute to set up the display stand and show people products range or corporate message. Most importantly, the whole structure is extremely light weight and portable. It is designed so that it can be carried to distant exhibition locations. The 3 foot standee can even be carried in flight cabin. The larger sizes can be bundled with your check in baggage. 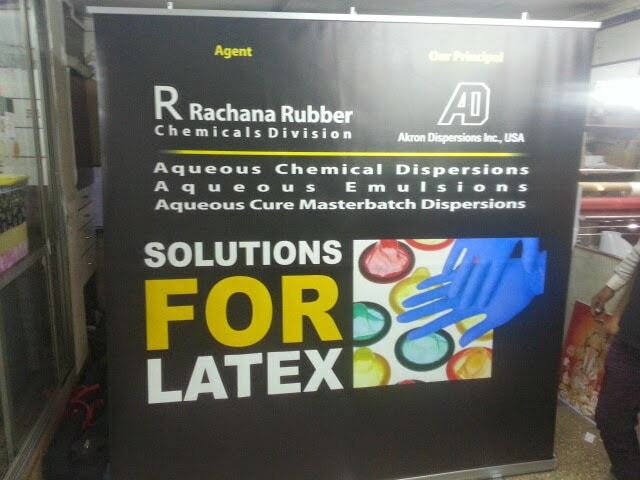 Application Use in hotels, training camps exhibitions, high end clientele For display on the road, aisles, etc. For display on the road, aisles, etc.